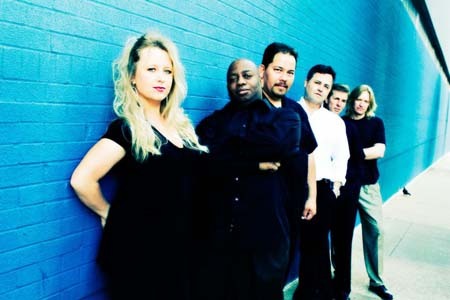 ZuZu Peddals consists of six to ten musicians who love to perform with strong male and female lead vocals. Some of the band members have played with acts such as Vince Vance & The Valiants, Percey Sledge, Maylee Thomas, Groove Posse (A.K.A. In The Groove), Delbert McClinton, Daughter Judy, Road Crew Band, James Taylor, Christopher Cross, Rob Dixon, Janie Frickie, Flyer, and Frankie Cashmere and the Sweaters. 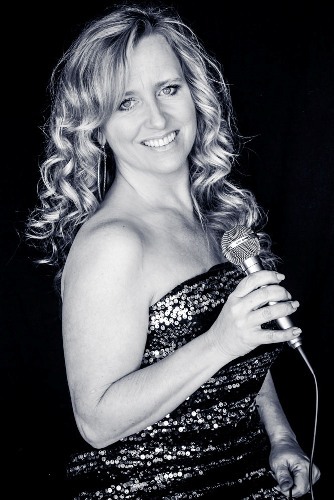 They cover a wide variety of music that takes you from the early 40's through Today's Hits. Here are a few reasons, out of many, ZuZu Peddals soars above the rest. 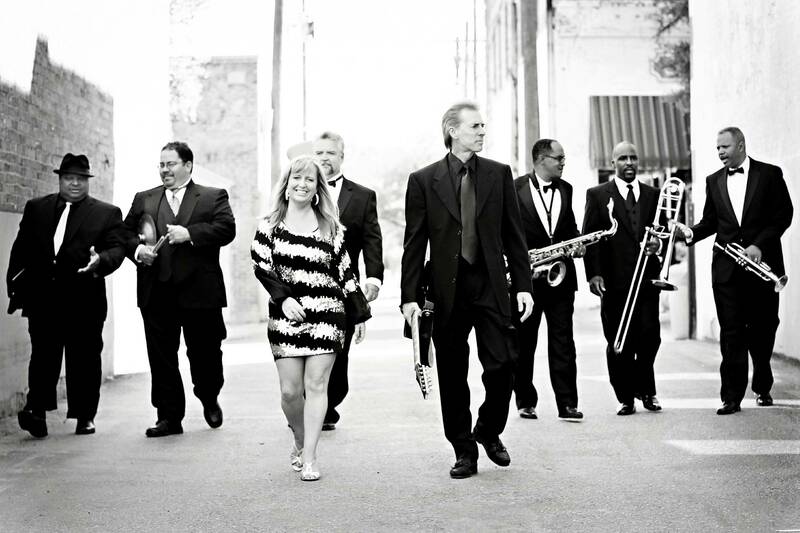 Not only will your event have the best musicians, vocalists and dancers Dallas has to offer, we will also bring a smile to your face when we recall the music you grew up with, or possibly the hits of today you have grown to love. We also provide a great "Attitude" and "Professionalism", from top notch sound to lights, dress code, and behavior. "What a fabulous band Zu Zu Pedals is! We don't know how the lead singer delivered song after song in what seemed an effortless and joyful manner. What talent she and all the musicians have. We have had so many compliments on the music last night. Your performance made our familly event that much more special. Thank you and we'd be happy to provide references in the future, Kim"
" The lead singer's interaction with our guests was one of the lighlights of the performance!" "Excellent job! Brandi has an amazing voice! THey read the crowd & kept the dance floor going all night." 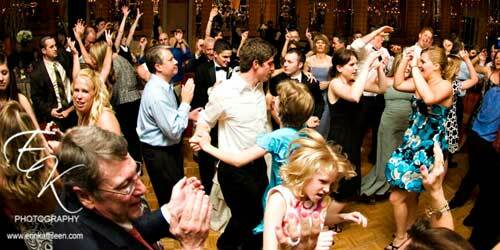 "Then the band kept everyone up dancing (and singing) all night long. If you're looking for a live band, I would highly recommend ZuZu Peddals. They have to be the best band I've ever worked with!" 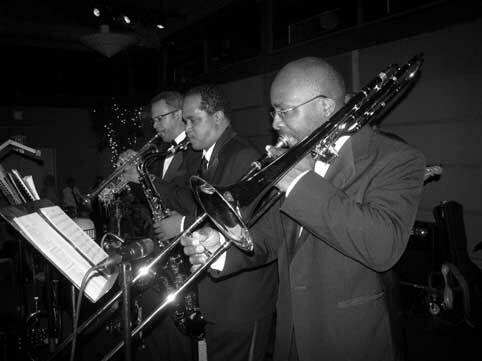 Our horn players are added when a client would like to have them or more then a 7member band. ZuZu Peddals- A ++++ " They were AWESOME. Brandi Busby, who used to sing with Vince Vance and the Valiants, has a powerful voice. They kept the crowd moving all night long. We received lots of compliments on the band. She even had my dad get on stage toward the end of the night to help sing "SHout". They are reasonably priced for bands and they are one of the best bands I have ever heard at a wedding. They exceeded my expectations by far! I love them!" "Group was outstanding! Brandi and team engaged and entertained us well." "Excellent, very professional. They are better in person than their video on the website. I will certainly recommend Carol Marks." "They were great! From the very beginning to the end, they were awesome. Thanks so much!" "Many, many compliments on the band. I've already given their info to two more brides. I would not hesitate to call again!" "Brandi and the rest of ZuZu's did a wonderful job! We have been receiving raving reviews of the band from our guest!" "Wow! Thanks for helping us celebrate with the tune of ZuZu Pedals!! The 8 piece band and Brandi were wonderful! We danced the night away on NYE and enjoyed our reception so much! Many Thanks!" 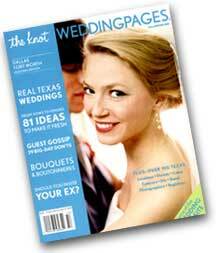 "Every couple wants their wedding to be an awesome experience. You only get to live it for that one evening, so you want everything to be perfect. We could have not asked for more from the ZuZu Peddals! I did not know what to expect because my beautiful fiance' had done all of the planning and I was not sure how the band would perform. I was so amazed at their performance. I pour my heart and soul into my career and I can immediately see when someone else is pouring their heart and soul into their career. Being a race car driver in the Nascar truck series is a dream come true for me. I eat, sleep and live racing. Kim and I agreed that the ZuZu Peddals eat, sleep and live entertaining. You can hear love and passion through their singing and performing. We not only received compliments on the ZuZu Peddals from family and friends but from the staff at Texas Motor Speedway as well. I Would hire them again for any other parties we may have in the future. For Kim & I and the 300 people who attended our special day, they made it one to never forget! They were phenominal! " "WOW! What a wonderful evening you and your band provided for us on New Year's Eve!! We loved your style of celebration for our daughter's wedding, the groom and the father of the bride are still raving about how great yall were!! We all loved the songs you chose and the boys continue to go on and on about your voice!! One of our relatives said they just want to follow you around and be your groupies!!! HeeHee...We truly appreciate the fabulous evening!! To me, It seems like just yesterday that we were dancing, jumping and shouting!!! and seeing how low we could go in the Sky Lobby!!!" "Client wants to book (ZuZu) again for 2008 - send contract"
"The reception was absolutely fabulous! ZuZu Peddals was very instrumental in making the night one that will be remembered forever. The amount of comments we have had regarding the band are too great to remember. Everyone that has commented on the night has commented on the band. Many remarked 'they're the best they've heard!' Brandi and the others kept all of the people having a great time. Brandi has a fabulous stage presence!" "On behalf of the Boy's & Girl's Clubs of Arlington, we would like to thank you for ZuZu Peddals dedicated support of teh 2007 One Enchanted Evening, Cruising Under the Stars. The event was a big success thanks to ZuZu Peddals - their performance was sensational - a perfect fit for the event! Because of the generosity of you and so many others, we raised over $77,000 for Boys & Girls Clubs programs - the most raised in the event's four year history!" "Dear Brandi, I know that I called you after the wedding to thank you and ZuZu Peddals for the magical evening in providing the music for Taryn and Jason's wedding reception, but I wanted to put this in writing so other brides could know ahead that they have no worries at all in booking ZuZu Peddals for their reception. I truly thank you for your professionalism and unbelievable talent that you shared with our guests and family at the reception. People all evening kept asking us for the name of the group and how we found you. ZuZu Peddals made the reception all that Taryn and Jason had dreamed of having that night. Our guests did not want the evening to end; you have a special way of knowing what songs will get guests of all ages on the dance floor. Thank you for making the evening so memorable, you made dreams come true!" "Brandi was so helpful in planning our reception. The band had everyone dancing and enjoying themselves. We were very pleased with the band's performance!!" "Brandi was fabulous. She kept her assurance and did an excellent - a super par excellent performance... there is none like you in leading a band and voicing the enthralling tunes so melodiously. You made our daughter's wedding celebration memorable at the Belo, and all our guests had a roaring evening of fun and joyful memories. We cannot thank you enough for doing all that you did so dedicatedly, and I am indebted to you and your fine band for synchronizing every moment so elegantly and fabulously. Please let them know our pleasure and joy." "I thought they did a great job and I loved the way they threw in the broad selection of music. They really went across the board with it all!" "Brandi, thank you! Simply put—ZuZu Peddals is the BEST! We could not have asked for a better performance at my daughter’s reception. After all the hard work and planning that Mom’s and their daughters do for the rest of the reception it is certainly nice that the “BAND” comes thru and completes the occasion. What professionals you guys are! From the easy listening start, to the professional way you made the announcements, to the high energy “rock-n-roll” finish it was great fun. I feel very fortunate that we picked your band and I appreciate the advice from Carol Marks Music. Thanks again so much!" "I just wanted to let you know how much we loved y’all at our reception! All of you did a fantastic job and I had so many guests tell me that they absolutely loved the band. The only regret I have is that I wish it would have lasted longer. It seemed to fly by way too fast and we were constantly being pulled in every direction that we really didn’t get to get out on the dance floor and have a good time. I had recent brides tell me that it would fly by really fast but I thought that 7 to 10:30 would be plenty of time and that I would be ready to leave. Anyway, the time that we were there we had a blast and thought y’all were the best band ever!! Thank you again for doing an awesome job!" "Thank you so much for playing such great Music at our wedding on April 21, 2007! Brandi, Your voice is amazing and the band played beautifully! We couldn't have asked for a better band. I think our first dance song, My Best Friend by Tim McGraw, was done perfectly!!! And the Father/Daughter Dance music was priceless. I think we caught everyone off guard dancing to My Little Girl by Tim McGraw and then breaking into Surfing USA by the beach boys! Such a great time! It got everyone out on the dance floor!! Thanks again for everything. We will definitely use ZuZu Peddals in the future for our upcoming parties!" "They did a great job of getting everyone up and dancing." ----- Tammy Reed, PDX, Inc.
"They arrived on time, set up and did a sound check. The entertainment was very good and all guests enjoyed the music immensely"
"The band was great! We were very happy with the performance. The horns sounded excellent"
"Hi Brandi, thank you for last night, the members loved you. So many I can't even tell you. They have asked who you were and where we found you, everyone loved it! If you have anything you'd like to send me like a CD or promotional kit we would be so happy to keep it on file....thanks so much again"
"We had a great time and really enjoyed dancing with the band. All of our guests seemed to love the music--from the children to the grandparents! Thanks for providing a memorable soundtrack to our wonderful day! "Brandi and the band were absolutely fabulous! They listened to our changing needs throughout the night and were absolutely wonderful. Every band member was extremely professional and pleasant to speak with. The sound was perfect!! We got so many great compliments from our guests. The bands appearance and style was perfect for our event. They added a very nice touch of class to the night. I can't think of one thing that I would have changed. We greatly appreciate their nice comments, their professionalism, their anticipation of our needs and their ability to adapt. We were very pleased needless to say!" "Brandi, You guys did a great job.... I want you to know that ALL of the comments received were fantastic! Everyone loved the group, the choice of music played, and your voices. They also commented that the sound was perfect; those that hadn't seen each other in a while could sit in the back and talk with ease. Thank you for touching base with me before the event so that we could work a few things out ~ the event went well and your group was the biggest part of that success.... It has been a pleasure working with you and I look forward to seeing you at future events. Take care"
"Brandi, Just wanted to say thanks for doing such an awesome job at my reception at The Westin last weekend!! Ya'll were great in keeping the crowds going, it was a blast!! I have everyone commenting about ya'll and said that you were awesome!! Thanks for helping make this event as memorable and as wonderful as I believed and wanted it to be!! Thanks"
"Everyone was very happy with their music and showmanship." "They were very good and did all I asked them to do." 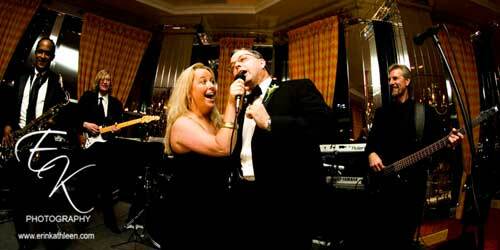 "Great band - made it a fun reception!" "The ZuZu Peddals were awesome and are still getting rave reviews from our guests. Yes, you were right! They did have everybody dancing! Brandi is dynamite, as well as very accommodating and easy to work with. You were truly wonderful to work with as well." thing from Carrie and Megan, too! Thanks for everything. We surely got every penny of our money’s worth that night and were so glad we dug a little deeper into our pockets and found a way to hire a band rather than a D.J. There is no comparison, especially when it comes to ZuZu Peddals. We are very very pleased." "Great Band! Will definitely book them for another dinner/dance." "The band did a wonderful job and everyone had a great time!" "The band was incredible. We have had nothing but praise about how good the music was. Brandi was so sweet and made us feel so special..."
"They did a wonderful job! Brandi was great at introducing and mc-ing. Everyone complimented me on what a great band they were." "Dear Brandi, It was such a pleasure working with you and ZuZu Peddals on January 3rd. The band kept everyone on the dance floor all night long. It was such a wonderful party and our clients were beyond pleased. I appreciate your attention to detail and professionalism. Also, your cooperation and flexibility in working with the Mariachis was certainly noted. I hope to work with you again soon." "Happy? I don't even think that is the word to describe how we felt about ZuZu's performance! We were OVERWHELMED by their performance. They were AWESOME! I have been hearing how wonderful they were for 3 weeks now! People are still talking about them! They were GREAT! And I felt very honored to have them!!" "Brandi, The band was wonderful. You guys did a great job. We are very pleased. The songs that you learned for us came out great. The fact that so many people were dancing all night was proof of how good the band was! Everyone had a great time at the reception. I talked with Steve's mom the day after the reception and she commented on how her two younger sons, Scott and Joe, were dancing all night. She said they reminded her of John Travolta and James Brown!!! Thanks again for everything." "Brandi, I can not express to you how perfect you and ZuZu Peddals made my wedding reception. People are still raving about how wonderful y'all were. And if you couldn't tell, I had a blast myself! I will not hesitate to hire y'all again for an event or refer you to anyone looking for a great party band. Thank you so much!!" "It was a pleasure meeting and working with you. We will certainly refer you and your Band. Hope to see you again at the Club ... soon. " "Dear Brandi, Thanks so much for the fabulous music during Christie Apple's wedding. Everyone just raved about your sound. And, keeping to background music during dinner was the best." "They were great! Very unobtrusive at the beginning but when it was time they did a great job of entertaining. I would recommend ZuZu Peddals to others!" "The band was great. They had everyone on the floor. Wish they could have played longer..."
"...Rave reviews by everyone. Singing and musicianship by all top notch. We will definitely have them back in 2003 if an event warrants." "Everyone was very happy with the band we selected. The music selection performed was appreciated because of the different songs of styles. "...I would like to express our sincere appreciation to you and your band for the wonderful job you did at our 2001 Annual Meeting. Everyone really enjoyed your music and I am so pleased that they proved me wrong and actually got up and danced!" Copyright © 2013 Carol Marks Music, Inc.